Location of our Places of Interest can be found by downloading the maps that available here. Adelaide House was designed by John Flynn in 1920 and built by the Australian Inland Mission in 1926. It was Alice Springs first hospital and was used as the only medical centre for the region until 1939. The air conditioning system is quite unique. Museum features outback nurses, Flynn’s story, Pedal Radio invention and passive outback architectural design. 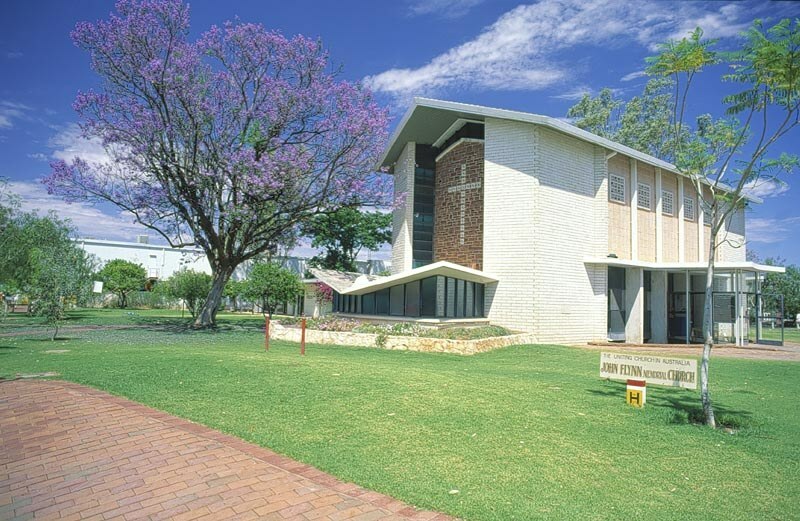 Church designed with features that memorialise Flynn’s vision for the Outback. Admission by donation. Adelaide House is situated in the Todd Mall, open: Monday to Saturday 10am to 4pm. The Alice Springs Golf Club which boasts one of the world's finest desert venues set in the foothills of the majestic MacDonnell Ranges. Australia's golfing legend, Peter Thomson, with his business partner, Michael Wolveridge, designed and constructed the course during the early 1980's. It is currently rated 53rd in Australia by Australian Golf Digest, in the world's top ten desert courses and one of Australia's top 25 golf resorts. Here you'll find many of our great pioneers like Albert Namatjira and Olive Pink. You'll find the early Afghan camelers resting facing Mecca. 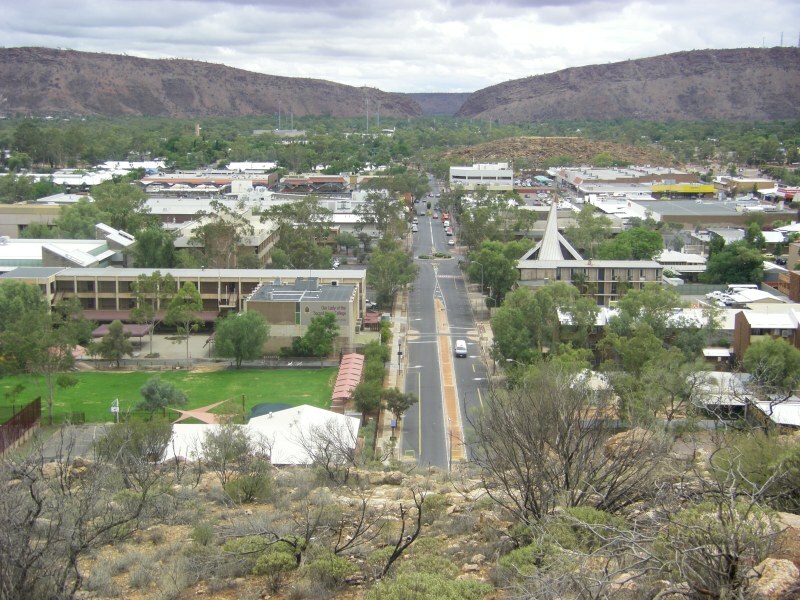 The township of Alice Springs obtained its name from the waterhole at the Telegraph Station. This historical reserve marks the original site of the first European settlement in Alice Springs. Established in 1872 to relay messages between Darwin and Adelaide, it is the best preserved of the 12 stations along the Overland Telegraph Line. The Telegraph Station features the original buildings of stone which have been restored with house furnishings and artefacts from the early 1900s. Set against the MacDonnell Ranges, the Reserve also offers opportunities for walking, picnicking and wildlife observation. A memorial paying tribute to the Australian and New Zealand soldiers who have lost their lives in war. You can also take in the stunning views of the East and Western Macs along with a 360 degrees view of Alice Springs. EJ (Eddie) Connellan, a pioneer of aviation in the Northern Territory, established Alice Springs' first aerodrome in 1939. 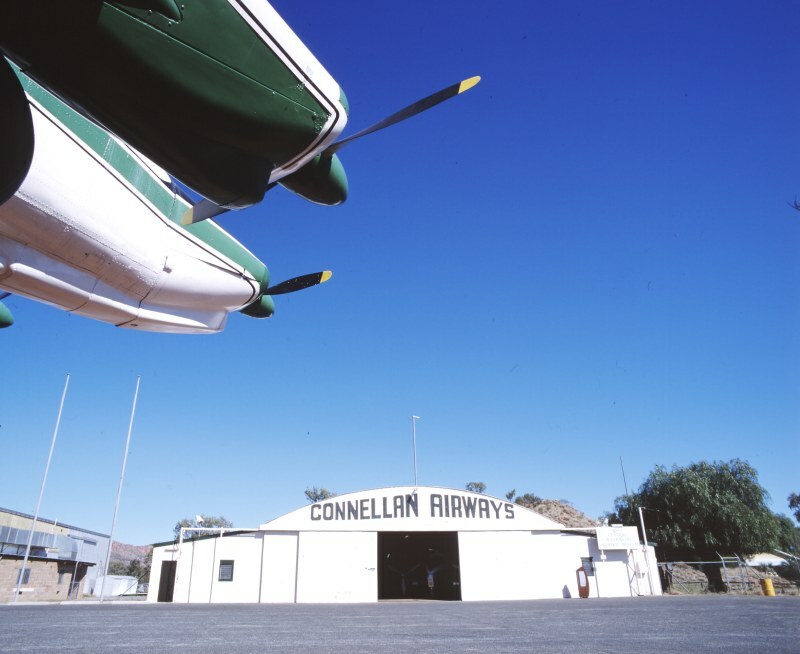 The original Connellan Airways hangar and the Connellan family homestead remain on the site of Alice Springs’ first air strip, the museum houses early flying doctor planes, a restored DC3 and other historical aircraft and aviation memorabilia. 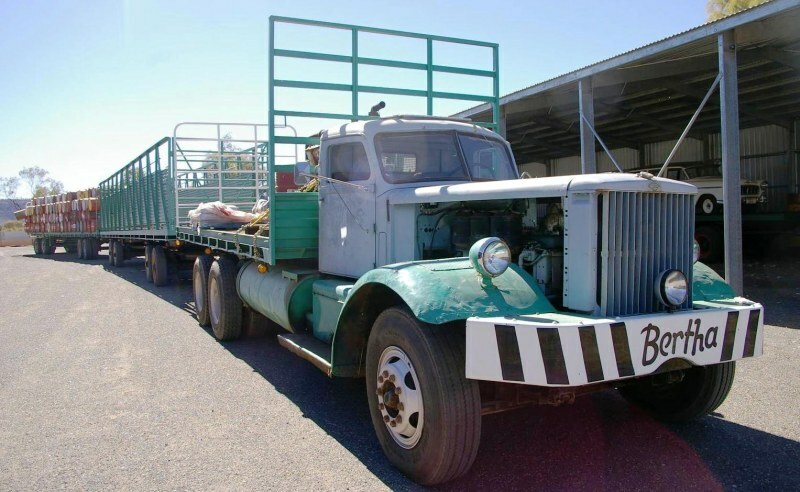 View the remains of the ‘Kookaburra’, and learn the tragic story of its crew who perished in the Tanami Desert searching for Kingsford-Smith, the famous Australian Aviator. Located in the Cultural Precinct with entry from Memorial Ave.
A memorial to Rev John Flynn for services to the people of the Outback. 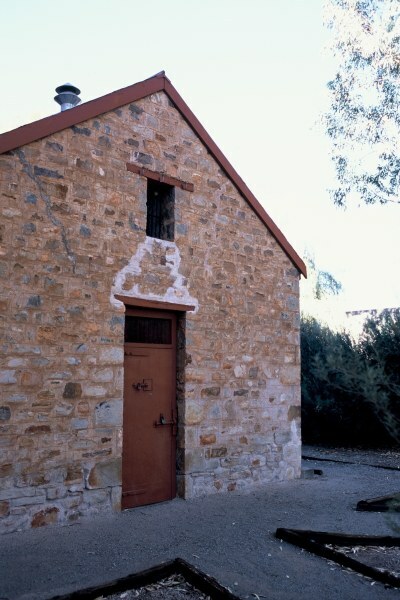 The Old Alice Springs Gaol was opened 1938 - 1996. This heritage listed building has been re-opened as the home of the National Pioneer Women's Hall of Fame. The National Pioneer Women’s Hall of Fame is dedicated to preserving the place of women in history for their special contribution to Australia’s heritage. 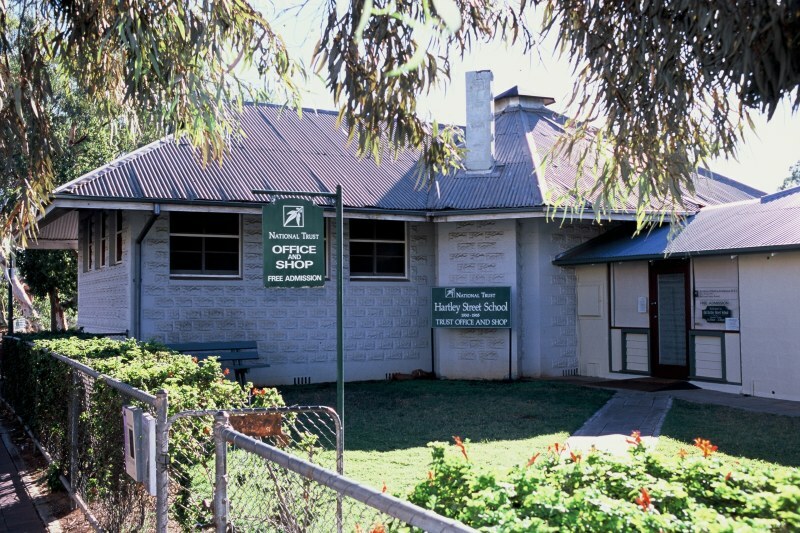 Founded by Molly Clark of Old Andado Station in 1993 the National Pioneer Women's Hall of Fame Inc is one of only three women’s museums in operation in Australia. 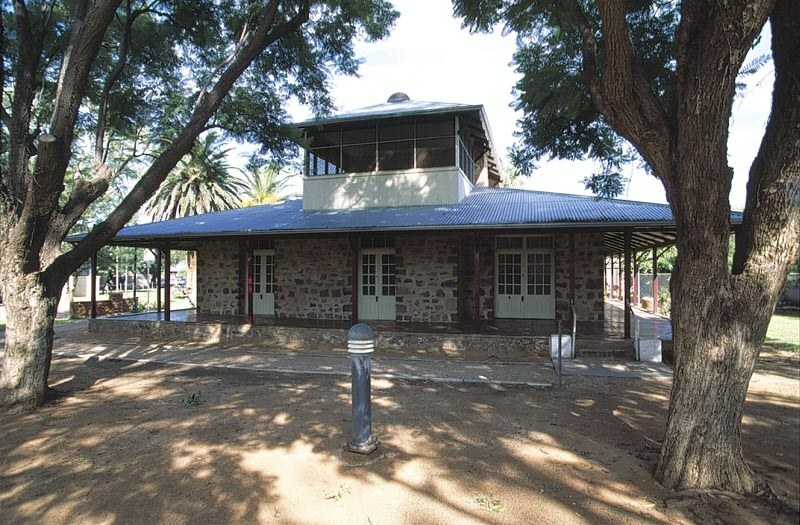 The former Hartley Street School, of Alice Springs, was initially constructed in 1930 to cater for an increase in population resulting from the town's status as a railway terminal. It was the first government school in Alice Springs. 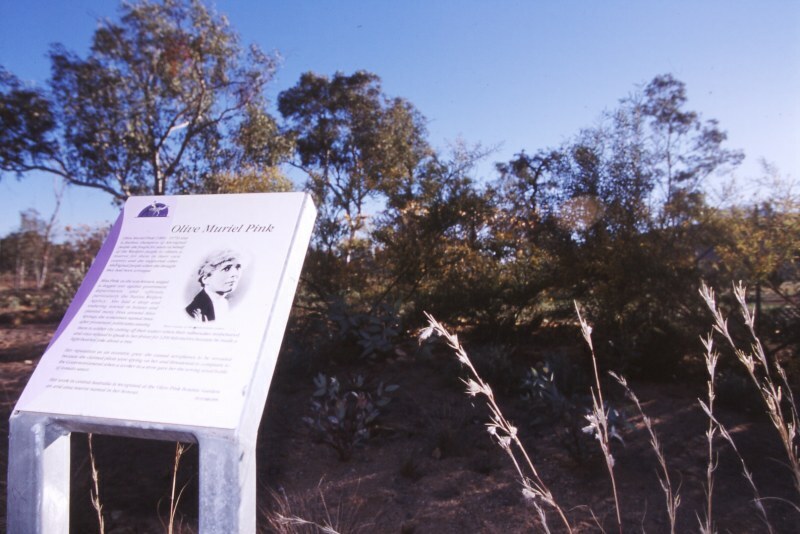 Miss Olive Muriel Pink was an extraordinary individual – she contributed to the development of the field of anthropology, campaigned vigorously for the rights of Aboriginal Australians long before it was fashionable to do so, was an accomplished artist, and was the visionary force behind the development of the first Arid Zone Botanic Garden in the southern hemisphere. The garden features native plants of Central Australia. Take a walk up Annie Myer Hill to views of Alice and the MacDonnell Ranges. Built in 1908, this building served as the town's gaol until 1938. Stuart Town Gaol was the town's first official building. Although it is architecturally simple in style, its use of local materials if of great importance. The floor plan and fittings reflect the harsh discriminatory treatment of prisoners during the time of its use. 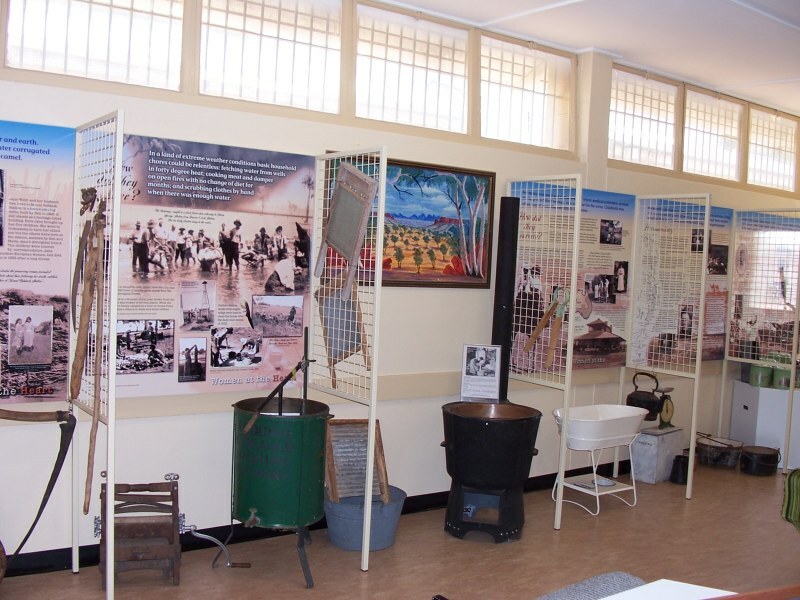 The display focus is on the history of law and order in Central Australia and the conditions under which prisoners were kept until 1938. For every visitor there is a history lesson on how Australia's tough terrain broke the best vehicles the world could throw at it; of how war at Australia's doorstep brought mechanisation and development to this nation - and Central Australia in particular; and how a unique breed of road transport pioneer used improvisation, innovation, ingenuity, commonsense and sheer will to carve a road transport network from stark wilderness and to give us an industry that has been the nucleus and backbone of Australia's development.